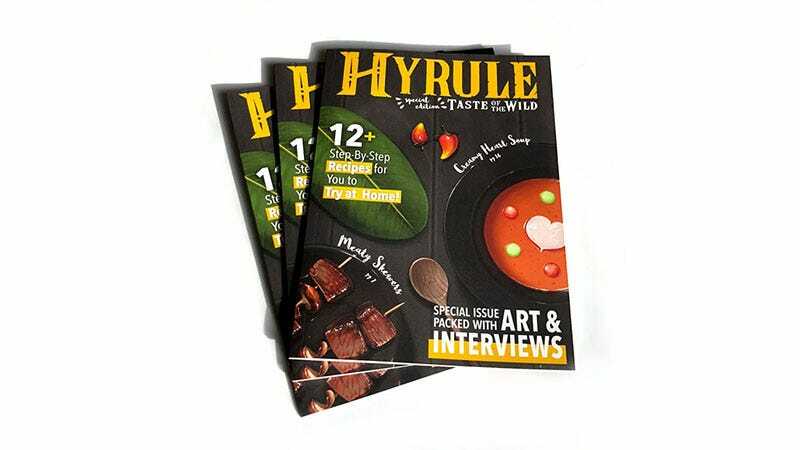 HYRULE: Taste of the Wild is a fan zine that’s both a cookbook and an artbook. There are 12 recipes inside (by Bryan Connor and Diane Ault), covering many of the game’s more palatable dishes, along with huge illustrations by Shattered-Earth, Milkbun, Mayuiki, Finni Chang, Chiou! and Onemegawatt. You can preorder a copy (they’ll ship in July) here (via Go Nintendo).